The gate has an input port so multiple gates can be connected in a daisy-chain configuration with up to four gates going to a single interface channel. 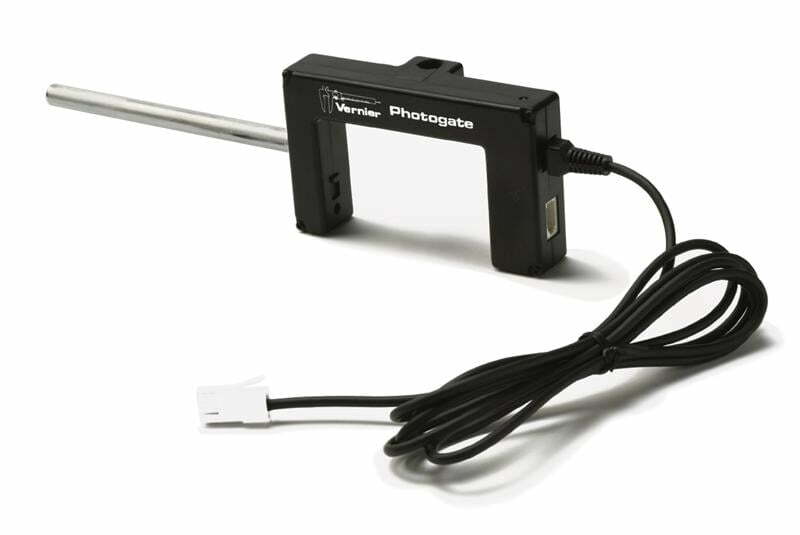 The Vernier Photogate also supports auto-ID with compatible software. Photogates can be used to study free fall, air track collisions, pendulum periods, the speed of a rolling object, and many other things. The Vernier Photogate includes an accessory rod for mounting to a common ring stand. The Photogate requires a compatible interface and software to collect data. Interface and software sold separately.